Small dogs should never be underestimated, and that’s certainly the case with the Papillon Chihuahua mix. This crossbreed may go by many names – Chion, Pap Chi, Chihuahua Pappion – but one thing’s for sure: what it lacks in size, it makes up for in personality. 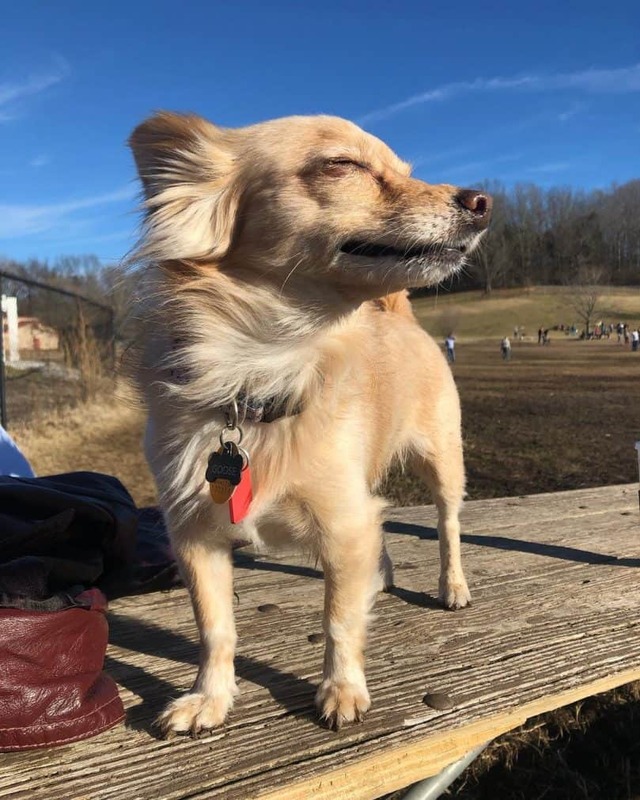 In this article, we’ll answer the top 5 questions you have about the charming, intelligent, and affectionate Papillon Chihuahua mix. 1. What does a Papillon and Chihuahua mix look like? 2. What are the characteristics of a Papillon Chihuahua mix? 3. 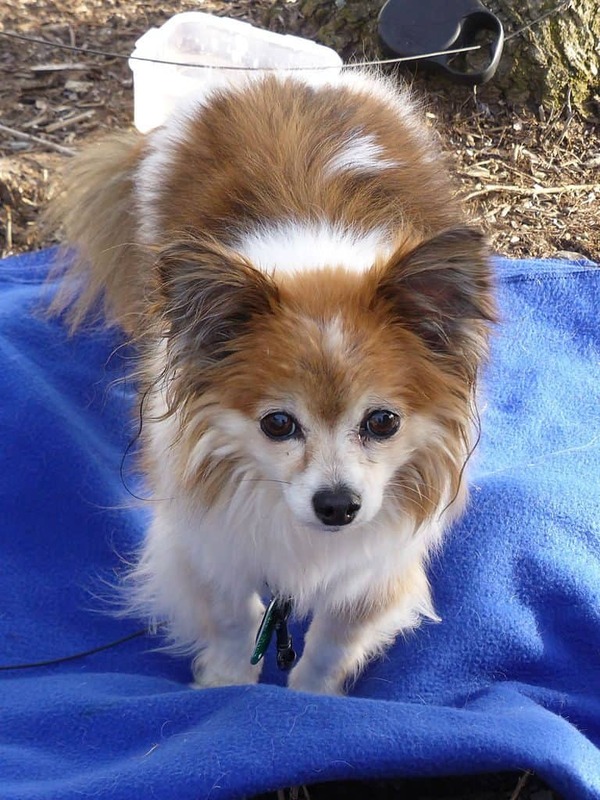 Are Papillon Chi mixes fussy, high-maintenance dogs? How much exercise does the Pap Chi mix need? Is the Papillon Chihuahua mix difficult to train? 4. Is the Chion a healthy crossbreed? 5. Where can I find a Papillon and Chihuahua mix for sale? 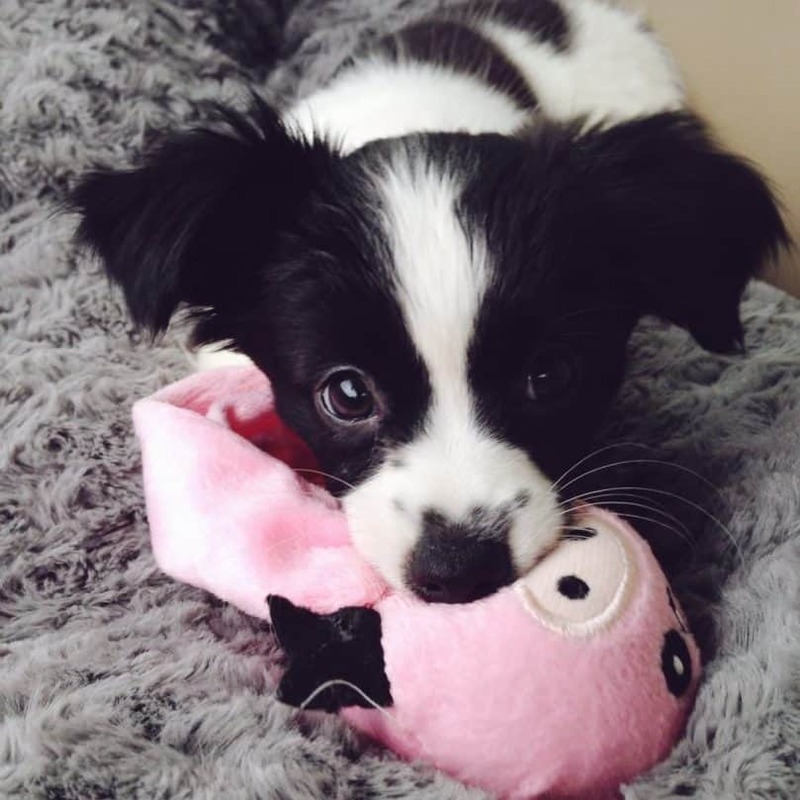 Is the Papillon Chihuahua Mix the right breed for you? Most Chihuahua Papillon mixes have small heads, with round eyes and erect, triangular ears. Some of them inherit the butterfly-ear look the Papillon (Pap) is known for. As a cross of two of the smallest toy breeds today, the Chion has a pocket-sized build even in adulthood. Full-grown, this dog stands only 6 to 11 inches (15 to 27 cm) tall at the shoulder and weighs 4 to 10 pounds (1 to 4 kg). It usually has a lean body, with short, thin legs and a long, furry tail. The length of its coat usually depends on the Chihuahua (Chi) parent. Papillon and long-hair Chihuahua mixes may have medium to long hair of a silky texture. Others will have a smooth coat of shorter hair. No matter its length, the coat of the Papillon Chihuahua mix may be black, white, cream, fawn, golden, brown, or various combinations of these colors. The Papillon Chihuahua mix inherited the feistiness of the Chihuahua and the outgoing personality of the Papillon. These crossbreeds are little bundles of energy, playful with no hint of shyness. Chi Papillon hybrids are loyal and loving towards their family. They’ll fit right into your lap and will have no problems soaking up your undivided attention all day. They also get along with kids, as long as playtime doesn’t get too rough for the dog. Despite its size, the Chihuahua Pappion can make for a good watchdog. It’s alert by nature and won’t hesitate to bark at people he’s unfamiliar with. Don’t worry, though; once he learns that the strangers are your friends and not intruders, he’ll quiet down and turn on the charm. The Pap Chi cross loves being around its human family, so it’s prone to separation anxiety if left alone for most of the day. You can train your Papillon Chihuahua mix to remain calm in these situations and keep him busy with toys so he doesn’t become destructive. Jealous behavior can also be a problem with these dogs. Sometimes, Chi Pap mix won’t want to share your attention, getting between you and other pets or even family members. One way to nip this undesirable habit in the bud is to simply ignore your dog once he gets too pushy. The Papillon Chihuahua hybrid also likes to make his voice heard. They tend to bark when encountering people, sounds, and even smells for the first time. The good news is that, with consistent training, you can keep the Chion’s yapping to a minimum. As small dogs go, these crossbreeds are relatively easily to care for. They need only ½ to 1 cup of dry dog food a day, split into two meals. Dry kibble is ideal for Chions because the hard texture of the food will help keep their teeth clean and free of plaque. The best dog food for Chihuahuas may work for this crossbreed, too. The Papillon Chihuahua mix doesn’t shed more than the average amount of fur. You can keep its hair soft and shiny by brushing its coat 2 to 3 times a week. Just make sure to break up any mats or tangles with your fingers so you don’t hurt your dog. Don’t forget to groom the hair on your Chihuahua-Papillion’s trademark butterfly ears. Brush the ears as regularly as the coat to prevent tangles. Removing buildup from the ears at least once a week helps prevent infections as well. These dogs don’t need much exercise, thanks to their small build, but that doesn’t mean they’re docile little pets. Your Papillon Chihuahua mix has plenty of energy for at least 30 minutes of exercise every day – whether it’s a walk around the neighborhood or some indoor playtime. You can also take your furry canine pal to dog parks, but make sure to keep an eye on him around other dogs. Like many of its pint-sized brethren, the Chihuahua Papillon mix can be aggressive towards bigger breeds. Because of its moderate exercise needs, the Chi Pap cross thrives even in small living spaces like apartments and condominiums. The Chihuahua Pappion is smart and eager to please, making it easy to train. With consistent, patient training and plenty of positive reinforcement, he will quickly pick up commands and learn how to do tricks. Socialization is also crucial for these dogs, especially when they’re young. Chihuahua Papillon crossbreeds may be prone to using their teeth to defend themselves against perceived threats. Early socialization removes potentially aggressive behavior in these pups. The Papillon and Chihuahua mix has a life expectancy of 12 to 14 years, so you’ll have plenty of time to enjoy with your beloved dog. Unfortunately, Pap Chi crosses are vulnerable to the health issues that commonly affect Papillons and Chihuahuas. Both breeds are prone to eye conditions like cataracts and progressive retinal atrophy. Their small jaws also make the dogs prone to dental conditions. Chihuahuas are susceptible to degenerative mitral valve disease and patellar luxation, while Papillons are known to suffer from liver shunts and neuroaxonal dystrophy. Papchi puppies can inherit all these health conditions, so it’s crucial that you find breeders who can provide you with health clearances for puppies and their parents. Aside from these genetic conditions, Papillon Chihuahua mixes have been recorded to have a fontanel or a soft spot on the skull. Though Chions are becoming popular these days because of their size, you may find it difficult to find breeders who focus on producing Papchi puppies. Breeders may charge anywhere from $200 to $750 for Chihuahua Papillon mix puppies. If that’s a little too steep for you, you can also visit rescues and shelters to see if they have a Papillon Chihuahua mix for adoption. There’s plenty to love with the lively, loving Chion. This crossbreed is affectionate and loyal and it loves playing and spending time with its family members. The Pap-Chi dog’s intelligence also makes it easy to train. However, Chihuahua Pap hybrids can suffer from separation anxiety if left alone frequently and for long periods. They can also become jealous of other dogs and family members and defensive around young, unruly children. Have plenty of time to spend playing with these dogs. Have older children (ideally older than 6 years). Can be patient with training and socialization. What’s your experience with the feisty Chihuahua Papillon mix? Tell us in the comments!